As a beauty blogger, of course I have innumerable Beautytools at home, to pack the suitcase it is always one difficult question: What is allowed to come with me? The new Mini Striplac Kit will surely accompany me on my next trip. The Mini Striplac kit is super small but works as effective as his big sister. Striplac is my personal favorite alternative to gel nails, because I just do not like them. I prefer to keep my own fingernails and protect them by Striplac, so they will be beautifully long without breaking off. STRIPLAC not only lasts much longer than any conventional varnish, it also has a stunning gloss. But the best is: the nails look as freshly painted until the last day. STRIPLAC does not splinter, is absolutely scratch-resistant and dry in 60 seconds. 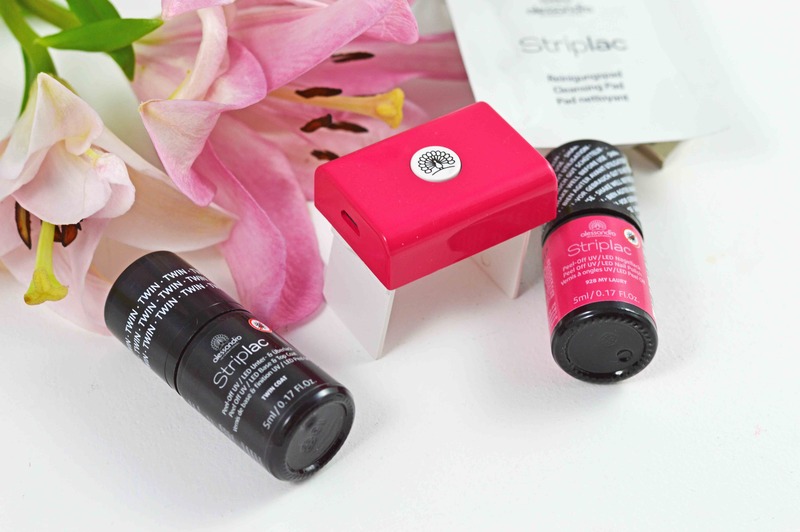 Anyone who has been annoyed by annoying drying or peeling off his varnish will love STRIPLAC. The nail polish has a creamy consistency and can be applied with the special brush wonderfully easily. Thus, even untrained people are able to cope with the paintwork without any problems. The results can also be seen as a must-have for striplac fans and a compact solution for all beginners. Ja die Haltbarkeit hängt davon ab was du tust, im Sommer mit Schwimmbad kann er sich früher lösen, aber er macht die Nägel schön hart und so splittern sie nicht leicht ab. Bis 10 Tage muss ein Lack bei mir nicht unbedingt halten, da ich gern öfter wechsele. Wer das aber mag, für den ist dein vorgestelltes Produkt genial.